What is a title loan? Signature loan? Auto title loan? In today’s economy, many young adults and young couples experience temporary financial hardship due to some unforeseen unfortunate circumstance. Corporate downsizing and outsourcing, factory closings, and company bankruptcies make news headlines every day. Trading a weekly paycheck for an unemployment check could unbalance any young adult’s budget. For a young couple, a sudden income reduction or unexpected expense might be quite distressing. Fortunately, a variety of loan solutions are available to meet most consumers’ needs. Get your answers below to these common questions: What is a title loan? Signature loan? Auto title loan? A title loan is a secured loan. This type of loan is secured with a title. Typically, a vehicle title is used as collateral to secure a financial loan. Borrowed amounts for secured loans of this type usually range between $100.00 and $10,000.00. With a title loan, the borrower surrenders his or her title to the lender for a sum of money and the lender places a lien on the titled item until the loan is repaid. In most cases, the title belongs to a car or truck that is owned by the borrower. However, some lenders accept other kinds of titles. Some lenders may offer title loans for mobile homes, heavy equipment or water-crafts, in addition to title loans for automotive vehicles. Title loans are short term loans with high interest rates. If the borrower defaults on this type of loan, the titled vehicle, or item, can be legally repossessed by the lender. Title loans carry high risks for all involved parties. Borrowers risk losing ownership of the titled item and further credit damage. Lenders risk loan defaults, lost profits and repossession expenses. Despite these serious risks, title loans provide a solution for consumers who have no other options. Title loans appeal to many consumers for several reasons. Lenders often skip credit checks and other typical loan requirements because the loan is secured with the title. 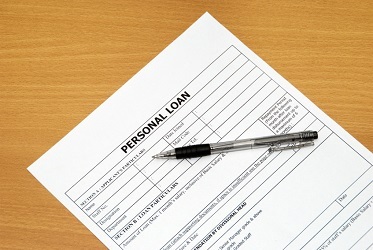 Borrowers may not be able to meet employment and credit requirements for more traditional types of loans. Although the high interest rates and stringent repayment terms associated with these loans are commonly compared to loan-sharking, some consumers may have no other options for relief. Signature loans are unsecured personal loans. This type of loan uses the borrower’s signature and promise to repay as collateral. Lenders require verifiable employment and a solid credit history for a signature loan. In some cases, the lender may require a co-signature to guarantee repayment of the loan. If the borrower is unable to make payments, the co-signer becomes responsible for the loan payments. Most loan amounts range from $500.00 to $20,000.00. A signature loan generally carries a higher interest rate than a conventional secured loan. Interest rates and repayment terms vary according to individual circumstances. An auto title loan is a secured loan. Basically, an auto title loan is the same as a title loan. Borrowers use their automobile title as collateral to secure a short term, high interest loan. This type of loan is risky and expensive for consumers. However, auto title loans, or title loans, can provide urgent financial relief for borrowers who cannot obtain a conventional loan. Before making any decisions or signing any on any dotted lines, it is important to consider all available options and the terms of those options. Thorough research and careful comparisons will help interested consumers make informed, appropriate decisions. Today, the internet is great resource for information regarding financial loans and values-based loan providers like SET Financial. Consumers can find more information about loan solutions at www.setfinancial.com. Check here often for news about Set Financial or for financial related information. NOTE: All content provided on this blog is for informational purposes only. SET Financial Corporation makes no representations as to the accuracy or completeness of any information on this site or found by following any link on this site. SET Financial Corporation does not represent or endorse the accuracy or reliability of any information or products mentioned or referenced on this blog.